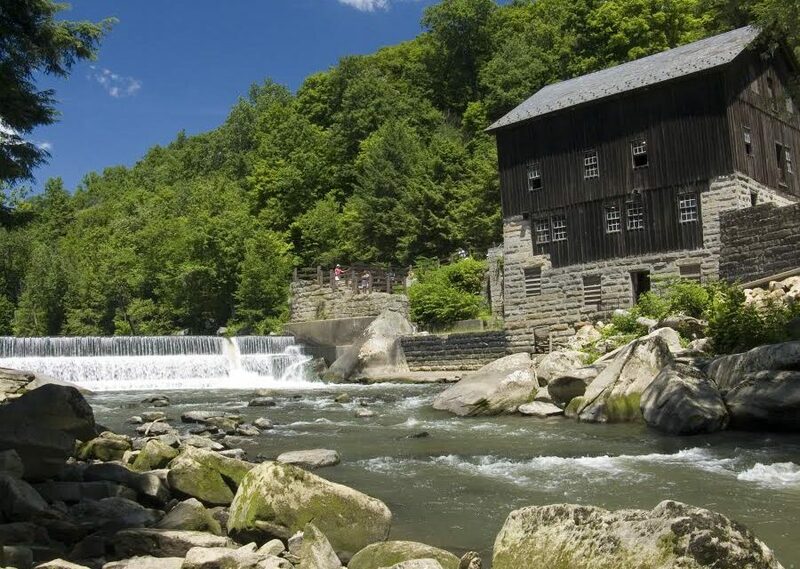 McConnells Mill State Park, in Lawrence County, encompasses 2,546 acres of the spectacular Slippery Rock Creek Gorge. Created by the draining of glacial lakes thousands of years ago, the gorge has steep sides and the valley floor is littered with huge boulders and is a national natural landmark. A gristmill built in the 1800s is open for tours. The park is open from sunrise to sunset, year-round.